Cyrus Hagge says he wants to build a workshop complex so artists and craftspeople won't be squeezed out by gentrification. A Portland developer plans to build a new “makerspace” complex for artists and craftspeople outpriced and displaced by gentrification. Cyrus Hagge, owner of Property Management, wants to put up a four-story building at 121 Cassidy Point Drive, in an industrial area on the city’s western waterfront. The building’s 17,500-square-foot area will be divided into affordable, different-sized production space, Hagge said in an interview. He wants to create a stable, accessible haven for artisans squeezed out of Portland by rising rents and a dwindling inventory of suitable real estate. Rooms will range from small studios to 4,000-square-foot manufacturing floors with rolling exterior doors. “The whole idea is to mix and match and try to put together a place where artists can call home and know they are going to be able to stay there,” Hagge said. Units will be leased out at market rates, he added. A wood-framed, two-story building on the parcel will be demolished to make way for the new building, according to an application submitted to the Portland Department of Planning and Urban Development in December. The proposal is subject to a planning department staff review, but not a review by the planning board. 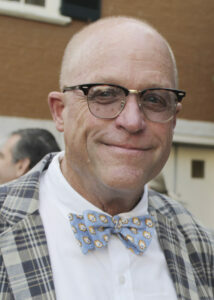 Hagge bought the 5,105-square-foot building last year for $900,000, according to city records. It was the former location of Coachworks, an automobile repair service. The new building is designed to be energy-efficient, including roof-mounted solar panels, Hagge said. Light industrial uses are permitted in the area, part of the waterfront port development zone that includes a shipyard, container terminal and Sprague Energy terminal. 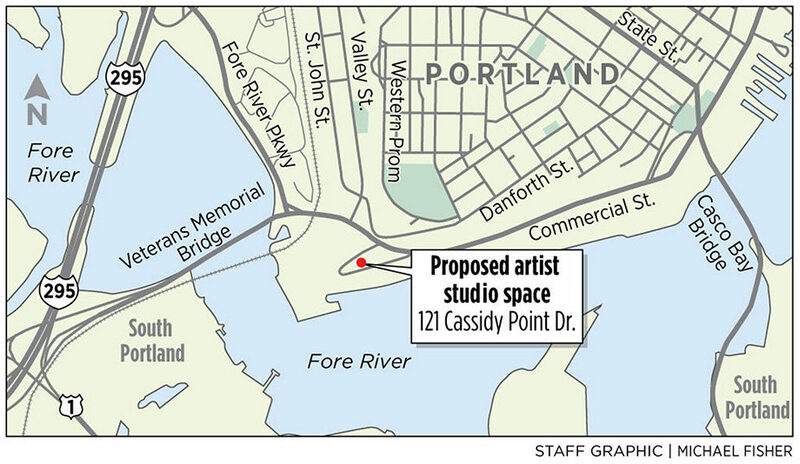 It is a challenge for artists to find affordable work and exhibition spaces on the Portland peninsula, but private investors, nonprofit groups and professional collectives are trying to fill the void, said Dinah Minot, executive director of Creative Portland. “The arts community is really passionate about making makerspaces and allowing artists to stay in Portland,” she said. A lot of the light industrial real estate wanted by artisans and manufacturers has been taken up by breweries and marijuana growing operations, said Jake Ryan, founder and director of Open Bench Project, a shared workshop on lower Congress Street. Even his heavily used, 7,500-square-foot workshop isn’t a way to make a living, Ryan added. Despite the tight market, Ryan said he isn’t sure a purpose-built facility is the right move. He can’t see how developers expect to keep rents affordable and still break even on the project, much less turn a profit. “Makerspace and space for artists is a very popular political term; I think it is harder to actually implement that,” he said.